It’s time for Wilco tonight. It’s the second of two shows at UIC Pavilion in Chicago. And seeing as I’ve passed out at a Wilco concert before and their 5 night residency at the Riveria during their last tour was fantastic, this will be the kind of show that I’ll bring with me all types of memories and emotional touch points and triggers. We’ll see how my Ink19 review turns out. I always wonder what a band does when they play back-to-back shows. Do they compare them in their mind or are they like baseball players (when I played I used the 24-hour rule and only focused on a win or lose for that day then I moved on). So does a band just block the previous show out of their mind so they can focus on the present show. Do they apply what they learn from the last show to make the second show better? What level of change does the band experience with their emotional energy from one show to the next? Does Wilco think of ways to make each show unique? 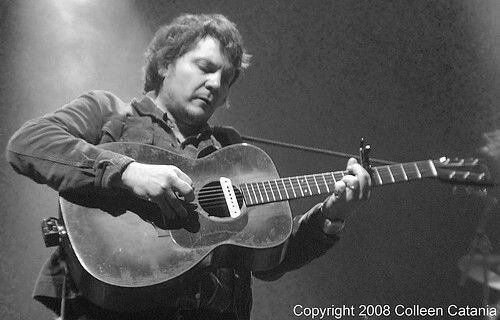 This will be Wilco’s final show of their recent tour, so will there be anything special for Chicago fans? What will seeing Wilco in an arena be like, especially when they start playing “Just a Kid,” a song they contributed to the SpongeBob SquarePants movie soundtrack. Tribune’s Greg Kot had this to say about Sunday’s concert. Did you see last night’s show?